“Walking on Ice”, “I Don’t Wanna’ Fool With Love”, “Hard for a Girl Like Me”(Europe) “Hot Summer Nights”—hit song for Harvey Mason / Lee Ritenour’s “Stone Mason”— “Stayin’ With It” a Tom Snow hit song, duet with Rick Roberts/Firefall— “Feel the Night” duet with Baxter Robertson in Karate Kid— “Short Cut,” hit single on “Here’s to Love” & “Greatest Hits” by Tanya Tucker. to find out why the Washington Post called this video and song: “An Anthem for Our Generation”. “Restless Soul” Lisa’s title track for her CD “Restless Soul” was featured on Vol 8 Fast Folk CD and was entered into the Smithsonian Institute representing the best of folk music from the 1990’s. It was featured in the documentary “Bear Down” included songs from Melissa Etheridge and Jewell. Lisa’s CD, “Unlock My Heart,” (Dream Wild Records) was culled from her catalogue of over 400 self-penned songs. The album is a renaissance of romantic edged tunes with catchy melodies and infectious riffs. “Hidden Message” Call to Arts! Winner: Lisa Nemzo: For Vision and Imagination. The lead single and video, “Reach,” won Best Environmental Music Video of 2009, from Green Screen Environmental Film Festival & Salon. 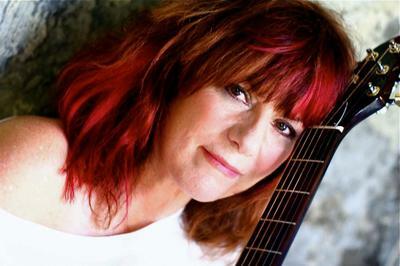 During her celebrated career, Lisa toured with artists Bonnie Raitt, Heart, Ray Charles, Joe Cocker, Christopher Cross, Firefall, and Hall and Oates ... to name but a few. Join in and write your own page! It's easy to do. How? Simply click here to return to Would You Like A Free Premium Listing Within Our Site? Create It Here!. We promise to use it only to send you Female-Musician.com News.